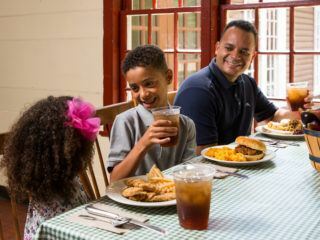 Make the most of your visit and enjoy a meal while you are visiting the museum. Meet our head chef Mike Heenan here. 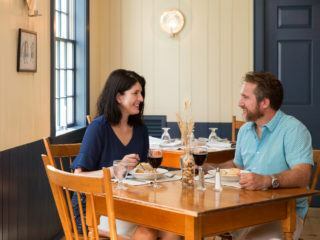 Specializing in comfort food, one bite of the Bullard Tavern Cafeteria’s chicken pot pie or mac & cheese will make you feel like a part of the Old Sturbridge Village family. Located on the ground floor of the Bullard Tavern, the cafeteria also offers other hot lunch options such as soup and chicken tenders, as well as healthy salads and sandwiches. 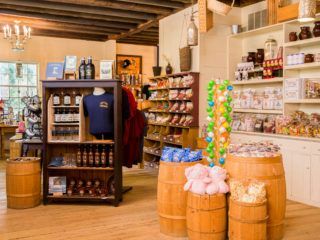 While exploring the Village Common, stop by the Miner Grant Store and seach through glass jars for your favorite penny candy, perk up with a cup of coffee, and grab a container of jam to bring home a taste of Old Sturbridge Village. Located in the Village next to the Common, this is the perfect place to grab a quick snack, souvenir, or beverage. Located just outside the Village entrance (admission not required), the Oliver Wight Tavern menu varies seasonally. All about convenience, the Café at the Oliver Wight Tavern is the perfect place to eat on the go. On your way into the Village, enjoy delicious Red Barn® coffee, village made fudge, and made from scratch cookies, muffins, and breads. 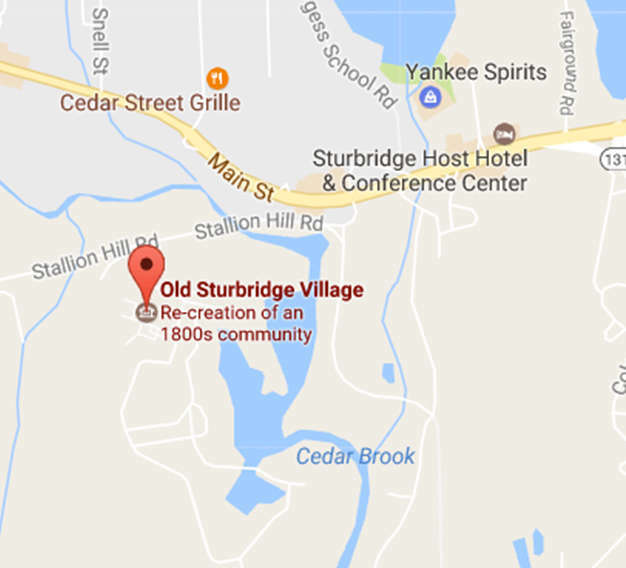 The Easter Brunch offered at the Oliver Wight Tavern at Old Sturbridge Village promises an extensive buffet featuring s scrumptious favorites like shrimp cocktail, omelets, creamy chicken, stuffed shells, a chocolate fondue station, and more! Reservations are required. Step into the charming historical ambiance of the Bullard Tavern Great Room and enjoy a delicious Easter feast with your friends and family. While you enjoy your food, watch costumed interpreters prepare soup over the hearth and listen to occasional musical performances. Reservations are required. Treat mom (or grandma!) to a scrumptious Mother’s Day Brunch featuring a carving station, omelet station, waffles, an assortment of desserts, honey glazed pineapple ham, and more. Reservations are required and tend to fill up fast. Nothing is better than having an ice cream on a hot day at Old Sturbridge Village. Located within the Village in a charming cottage with red gingham curtains, the Village Scoop Shop is sure to satisfy your ice cream cravings. An outdoor seating area provides a comfortable place to quench your thirst with a refreshing cold beverage, or gain some extra energy by snacking on one (or two!) of our famously delicious cookies. 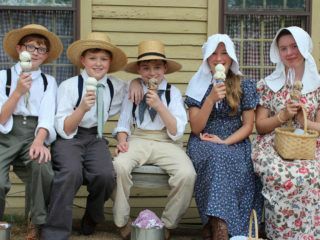 Refresh and recharge yourself for more 1830’s fun by stopping by the Village Scoop Shop. 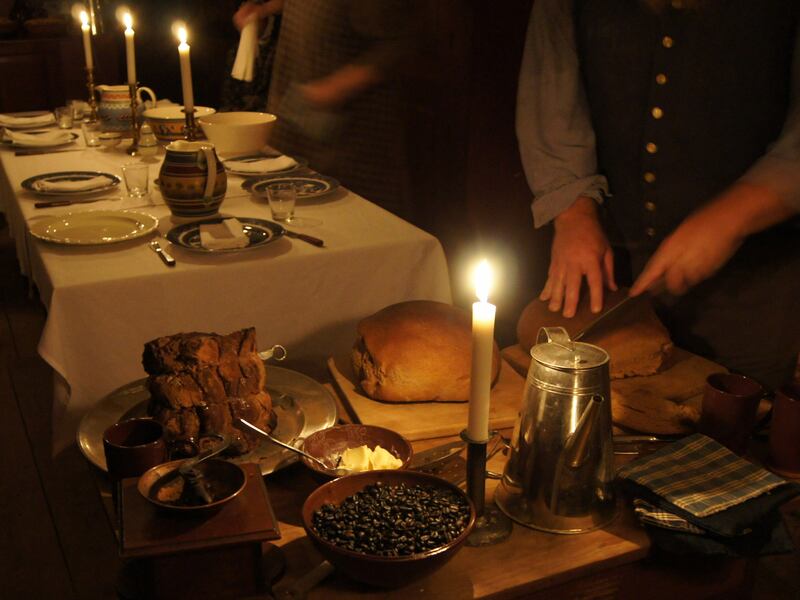 Learn about special hearth cooking and overnight experiences like Dinner in a Country Village and Boarding with the Bixbys here. Old Sturbridge Village is a convenient and versatile location for weddings, social and corporate events. 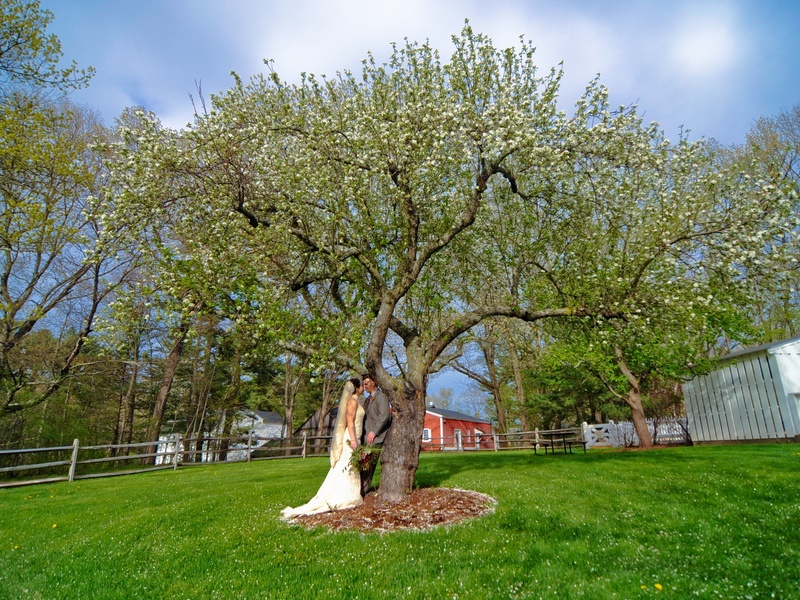 The property features over 200 acres, 50 historic buildings as well as several venues for your next event, including the Oliver Wight Tavern, Bullard Tavern, a full-service conference center, and a 300-seat theater. Learn more about hosting an event at the Village here.